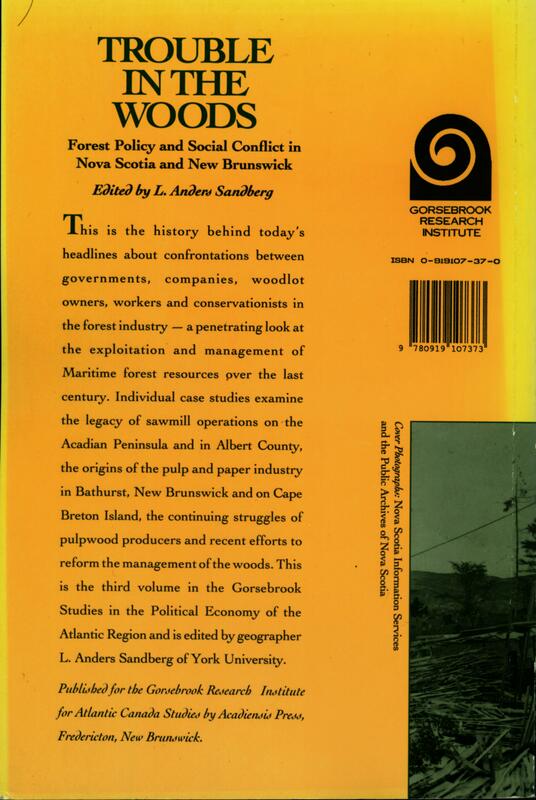 A substantial part of my work in the past has focused on forest and environmental history, dealing with how people’s relationships with forest environments have changed over time, with a regional focus on Maritime Canada. The research itself has changed with the trends and fashions in academic inquiry. 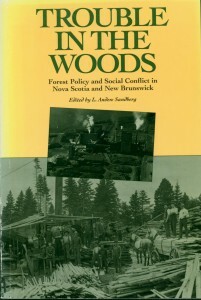 My first substantial work on forest and environmental history is my edited volume Troubles in the Woods: Forest Policy and Social Conflict in Nova Scotia and New Brunswick (1992). 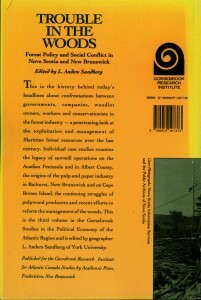 The volume appeared in a four-volume series called Studies in the Political Economy of the Atlantic Region. 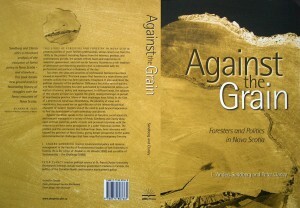 Common to the series is a focus on political economy, the assertion of political and economic power, as the prime agent in determining the fate of forest futures in the region. 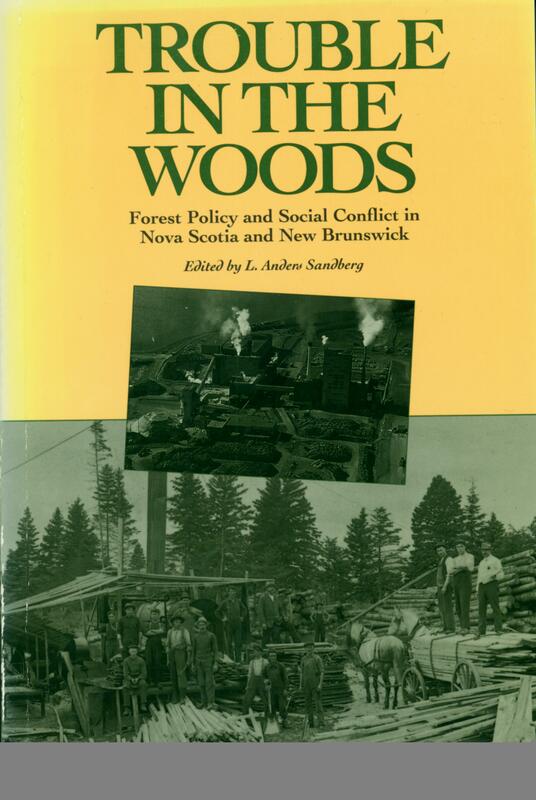 My second major study on forests is the co-authored volume with Peter Clancy Against the Grain: Foresters and Politics in Nova Scotia (2000). It explores the subtleties of forestry as a science and profession and the alternatives articulated by rogue or dissenting foresters in Nova Scotia over the span of almost a century. These foresters recognized that there are alternatives to modernistic forestry in the shape of clear cuts, monocultures, pulp cutting and pesticide applications as well as the “preserve it all” visions of environmentalists. They instead promoted a forestry that respects both people and forest ecosystem as an integrated whole. My recent research directions on forest matters include a closer consideration and analysis of additional voices in forest destinies, such as those of First Nations and the forest itself. A couple of pieces co-authored with one of my former doctoral students, now Professor in Women’s Studies at the University of Manitoba, Jocelyn Thorpe, begin to tackle this subject. My recent interests in human-forest environment relations lie in thinking through the role of ecology as an independent actor in such dynamics, considering how “nature’s force and whims” co-determine human political and economic destinies in unpredictable, unintentional and strange ways. Thorpe, J. and L. Anders Sandberg, “Knotty Tales: Canadian Staples and Post-Staples Forest Policy Narratives in an Era of Transition from Extractive to ‘Attractive’ Industries,” Canadian Political Science Review, Vol. 1, No. 1 (2007), 57-72. Thorpe, J. and L. Anders Sandberg, “Transcending Emily Carr: New Perspectives on a Canadian Icon (review essay),” Journal of Historical Geography, Vol. 33 (2007), 687-94.